Are you in the mood to introduce some fantastic new technology into your life? 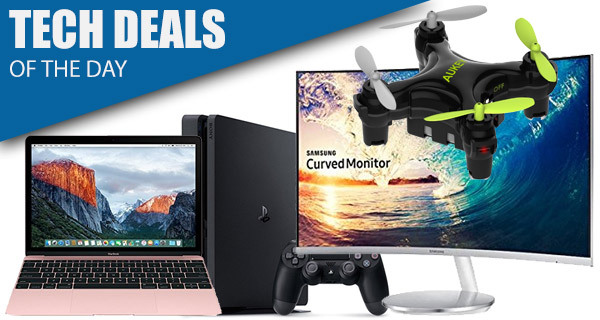 As always, we have an array of wonderful technology deals for you to choose from, but the intelligent amongst us will take one glimpse at the super 12-inch 2016 MacBook offer we have today, and grab it with both hands. Act quick before the deals are gone. Let’s start off with the latest 2016 model 12-inch MacBook coming in with a massive $300 discount, down from $1,299 to $999. The machine can be ordered in Silver, Space Black, Gold, and Rose Gold while stocks last. Next up we have is the newly released PS4 Slim Unchartered 4 bundle, followed by deals on two Samsung curved monitors; 24-inch and 27-inch discounted by up to $60. 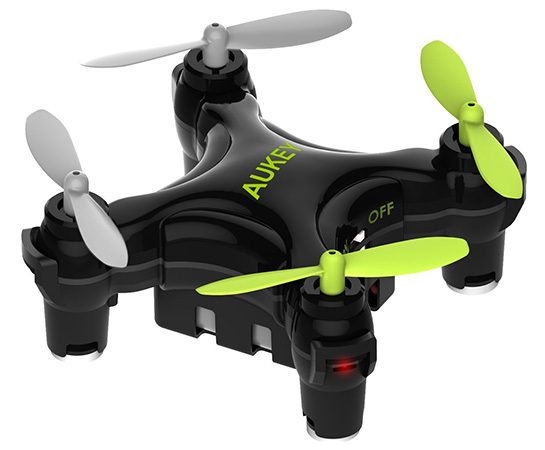 Last but not the least is an app controlled mini drone from AUKEY coming in at $24 only. As always, make sure you grab the deal of your choice as quickly as possible given that the deals are time sensitive and subject to stock levels as well. So if you have your choice narrowed down, make your move. Enjoy the savings! You really cannot turn over the opportunity to grab Apple’s latest 2016 12-inch MacBook model with a whopping $300 off the list price. As a company, Apple loathes taking money off items as it feels that it cheapens the hardware, so when it happens, it’s really an opportunity to grab it with both hands. It comes with a stunning 12-inch IPS LED-backlit display, 8GB of RAM, and the best bit, you can have it in multiple colors to match your iPhone. What’s better than a 24-inch or 27-inch LED monitor? Well, one that offers supreme performance, is built by Samsung, and is curved, of course. Because as we know, it’s all about adding that curve into things these days. When Apple starts selling curved iMacs, we’re sure they will sell like hotcakes, but until then, you may have to make do with these stunning certified refurbished Samsung screens at a price point that feels like they are being given away. Nintendo may be releasing this Switch this coming March 3 for $300, but with limited games, and an unproven ability to compete with the big boys, it could be a gamble. The PlayStation 4 Slim however is not only proven as a console, but has a vast array of wonderful titles available for it, and you can pick it up complete with Uncharted 4 for less than the Switch handheld. It’s a no brainer in our opinion. It may look delicate and miniature, and as if you could easily break it without even trying, but this AUKEY drone is unbelievable fun, and offers seriously impressive speed and agility with WiFi control via an iOS or Android app. With his purchase you will get the drone itself, a USB charging cable, 4 replacement rotor blades in case your flying isn’t quite as accurate as you believe it to be, and proof of 24-month warranty, which you’ll probably need when you start smashing this into any solid object you can find. Get it for only $24 using the following promo code at checkout: AU2DRONE.